This book focuses on the latest developments in psychology research. Chapter One reviews Vygotsky’s view on tools, signs and the spoken word, which are elaborated through a comparison of his early anthropological writings with his later works. 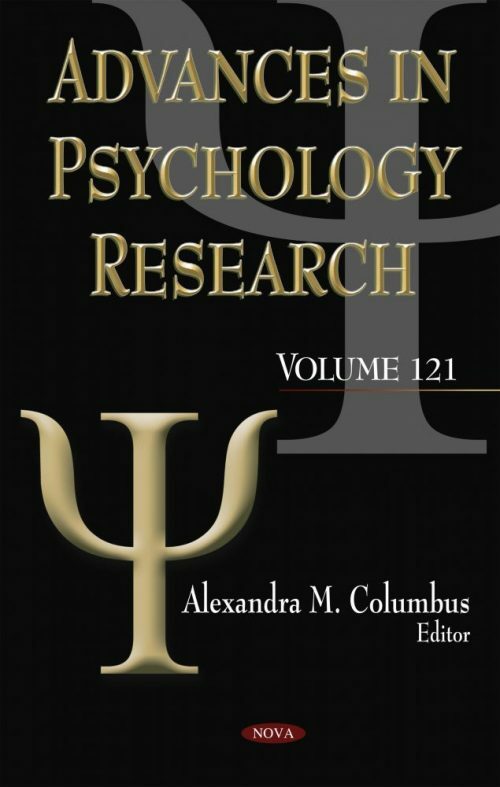 Chapter Two describes facial emotion recognition in a group of juvenile offenders and compares it with a group of non-offender adolescents, and also determines which emotions were misrecognized and for which one they were misattributed in both groups. Chapter Three examines cumulative family risk and youth adjustment difficulties during early adolescence. Chapter Four reviews a study on the relationship between personality and happiness using a modified version of the Oxford Happiness Inventory and a 20 adjective checklist of personality traits. Chapter Five compares body dissatisfaction among Polish and Japanese women and defines risk factors for body dissatisfaction. Chapter Six focuses on the adaptive functions of the focusing manner of experiencing. Chapter Seven studies a South African perspective on vicarious traumatisation and the self in professional learning of social work. Chapter Eight reviews literature based on predictors of food cravings, potential health impacts, and treatment options.